3 TVS Tormax 150, "Liquid Cooled with Monoshock" launched in Indonesia. Apache RTR with Liquid Cooling & Monoshock next? 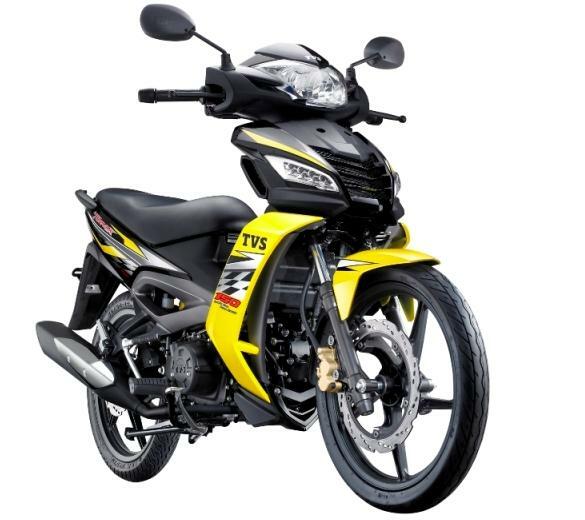 TVS has launched its first ever product to feature a "Monoshock" suspension and a "Liquid Cooled" engine.. in Indonesia..!! 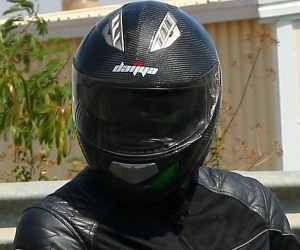 Looks like a TVS Apache RTR with a Liquid Cooled engine and a Monoshock is not far away from reality..!! 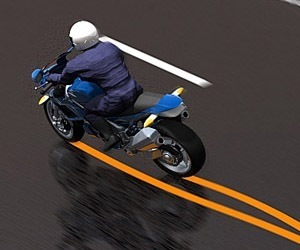 What you see below is a Step Thru model called "Tormax 150" which TVS Motor has recently launched in Indonesia. 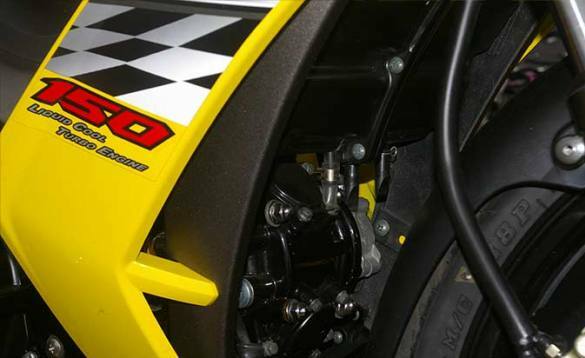 The Tormax 150 features a 3 valve, single cylinder, liquid cooled engine plus it also gets a Monoshock rear suspension..!! 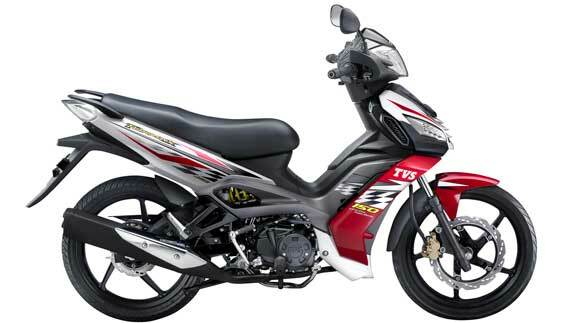 Tormax 150 is the third and the current flagship among the Step Thru models that TVS sells in Indonesia (along with the Neo X3i, 110 cc & Rockz 125 cc). It is a bit surprising for us Indians to see TVS Motor shower special attention to its Indonesian lineup when the Apache RTR 160/180 still got air cooled engines and conventional twin suspension at the rear. I somehow get a strong premonition that maybe in the 2012 New Delhi Auto Expo, TVS might decide to tease us with revamped Apache RTR's with Liquid Cooled engines and Monoshocks..!! 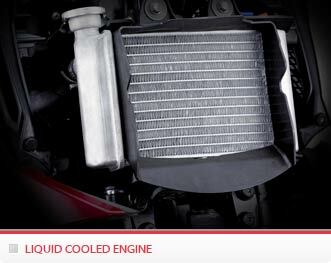 The engine of the Tormax 150 is a 150 cc, liquid cooled unit which makes 13.2 Ps of max. power at 8,000 rpm. It is fed by a carburetor. One noteworthy thing about the Tormax 150's engine is that it has got 3 valves for its single cylinder. 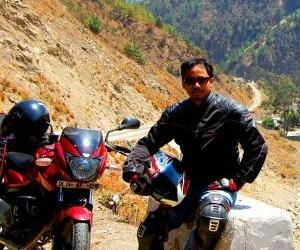 TVS employs the 3 valve per cylinder format on its 125 cc Flame engine and also on the Apache RTR 160 bikes which TVS uses in the National Road Racing championship in India. The Tormax 150 also get innovative features like a comprehensive Digital Display which has an Odometer, tachometer, 2 tripmeters, fuel guage, engine temperature indicator, battery charge indicator, service reminder and even a helmet reminder..!! 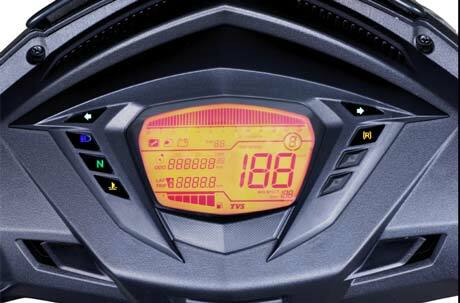 The Digital console also has a "data logger" like the one found on the Apache RTR 160/180 which records the best 0-60 kmph timings and also the top speed. The horizontally laid Monoshok on the TVS Tormax 150 is of the Gas Filled variety. Petal shaped disc brakes are provided both at the front and the rear. The front disc measures a relatively big 290 mm dia and the rear one measures 185 mm dia. 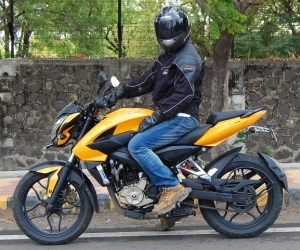 A very interesting and novel feature on the TVS Tormax 150 is the "Dual Tone Exhaust", which as the name suggests has two types of exhaust notes..!! One is Grunty and Sporty and the other Softer and Smoother. 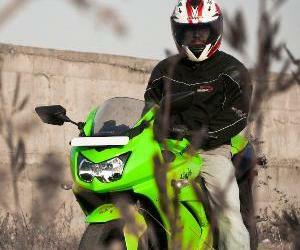 The exhaust note can be controlled/selected by the rider by activating a lever on the left had controls. Really interesting, I'd say. The Tormax 150 is a really interesting model, but despite the fact that it features a liquid cooled engine and a monoshock, a Step thru model would not cut ice with the Indian biker. So expecting the Tormax 150 in India would be futile. But then hey, the Apache RTR's could definitely benefit from a Monoshock and a Liquid cooled engine if not the dual tone exhaust.. what say..?? The numbers and the tech are impressive for a step-through. The engine design is also very intelligently done and would help both from the point of view of compactness and mass centralization. The concept of "Dual Tone Exhaust" and that also on a step through is a bit of an over kill, but yes might prove to be an interesting selling point (like the auto canceling indicators and back lit switches for the Pulsars when they were launched). It would be interesting to see if there would be any difference in performance between the "Two Tones"
Since a step thru probably won't make it to the Indian market, I would love to see Liquid cooled Apache's with a Monoshock.